James McClean has slammed Alfredo Morelos' behaviour on Wednesday night as "embarrassing." Morelos was sent off shortly before the hour-mark of Rangers' 4-2 victory over Aberdeen, having scored twice in the first-half of an action-packed game. The divisive Gers forward was shown a red card for a clash with Aberdeen's Scott McKenna, which also saw McKenna dismissed. 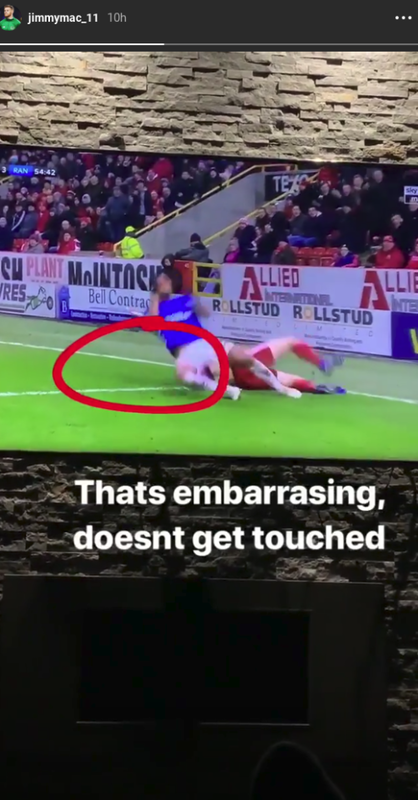 Morelos appeared to make contact with McKenna's groin with his studs after shoving the Aberdeen defender to the ground. As McKenna tumbled backwards, his legs went in the air and Morelos hit the deck, suggesting that he had been caught by McKenna's heel. As both men were given their marching orders, McClean took to social media to mock Morelos by captioning an Instagram story: "That's embarrassing. Doesn't get touched." 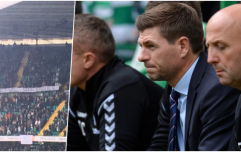 Morelos' penchant for goalscoring cannot be denied but his fourth red card of the season may become a cause for concern for manager Steven Gerrard, although the Gers boss claimed that he would not try to change Morelos' aggressive nature. "If Alfredo is in the wrong then he’ll deserve the red card," Gerrard said. "He’ll then be missing for two games and that’s how he’ll get punished because he hates missing games. "But I’m doing everything in my power to help the kid grow as a footballer and as a person. "I am not going to take the physical side away from him because he’ll get bullied out there. He’ll get bullied every game because he’s up against some strong physical players. "But for Alfredo to get to the next level and move in his career, and for people to trust him, he does have to channel his aggression." "We're totally exempt from any blame from this whatsoever"